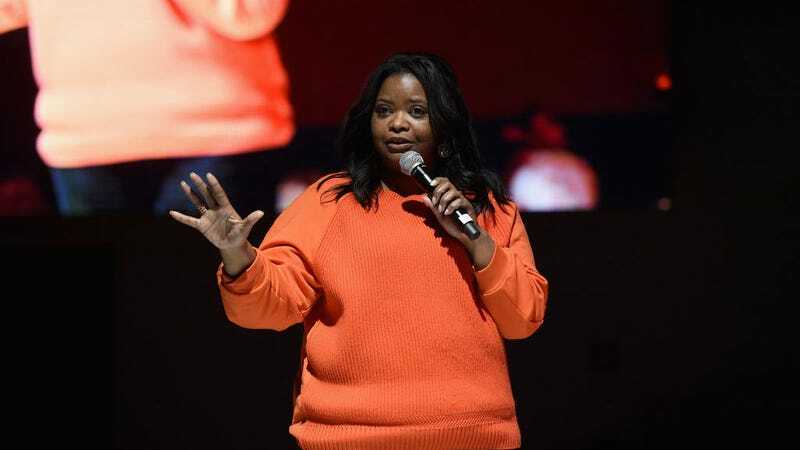 Black Panther is coming to theaters nationwide in two weeks and for a group of kids in Mississippi, Octavia Spencer already has their tickets covered. Spencer announced through Instagram that she’s going to buy out an entire theater in Mississippi for a screening of the movie “to ensure that all our brown children can see themselves as a superhero.” Exactly when and where the screening will happen is still pending. If you’ve gone to the movies in the past few years, you’d know that ticket prices are insanely expensive. And Spencer actually did something similar back when Hidden Figures came out, offering a free screening for low-income families in Los Angeles. There have also been other movements to buy screenings and theaters for kids (particularly children of color) to see Black Panther as well, including crowdfunding efforts from Little Miss Flint and New Yorker Frederick Joseph whose campaign got picked up by The Ellen Show, and now there’s even an entire hashtag. So when you go pick up your tickets for Black Panther, why not help out a crowdfunding campaign to help young black kids see a superhero movie that isn’t led by yet another chiseled white dude.